24+ Seeds. 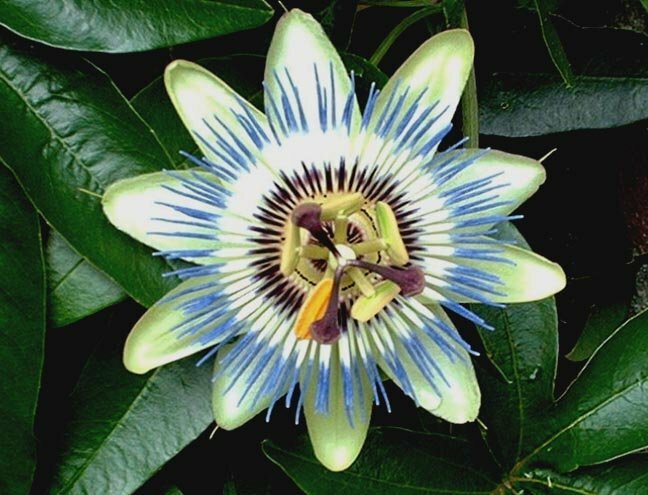 (larger quantities sometimes available) The deep, royal blue flowers on this vine always draw attention in my garden - simply breathtaking! This vine grows to about 15' and will be covered with blooms from mid-summer into fall. Tender tropical, grow as an annual in most zones - works well in a hanging basket, too! 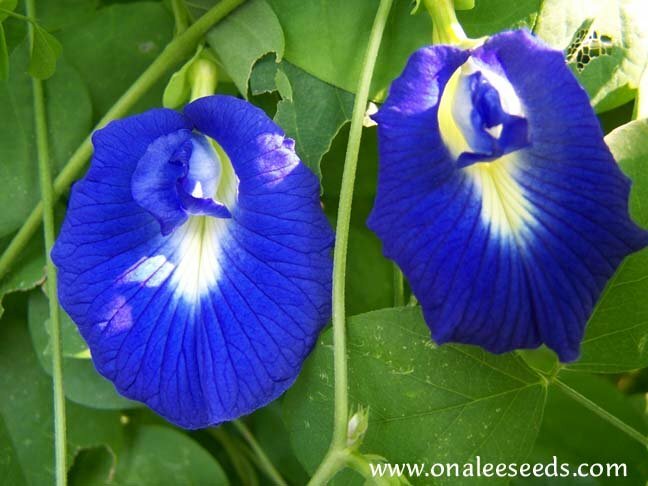 24+ Blue Butterfly Pea (Clitoria ternatea, aka: bunga telang) Seeds PLUS planting instructions. Use drop-down box near order button to select larger pack sizes at a discount. These are tender/tropical perennials in zones 9b and warmer (although I have had them return for me in zone 9a), grow as annuals or even house plants in colder zones. Will self-sow for even more vines in following years! Don't be surprised if the Long Tailed Skipper or Painted Lady butterfly show up because this plant is one of their larval (host) foods. This vine grows to about 15" and will be covered with blooms from mid-summer into fall. It readily self-seeds itself for even more plants in coming years. An excellent addition for your BUTTERFLY garden. They grow best in sandy, well draining, average soil and in bright/partial shade. Drought tolerant once established. 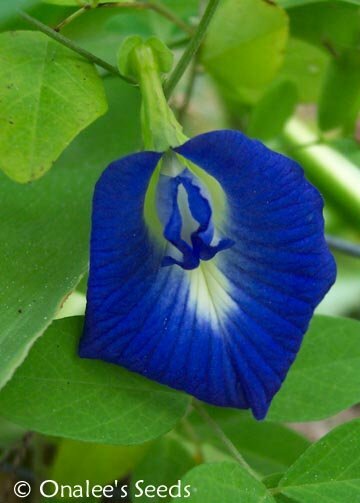 Before artificial coloring became widely available, Malays and Peranakan used the bunga telang (blue butterfly pea) as a natural blue dye for cakes, kuehs and dumplings. In modern times, the bunga telang is rarely seen or used outside of the domestic kitchen as extracting the color is time consuming and many flowers are required just to dye a small quantity of food. The flowers are dried for storage until needed for coloring these Malaysian dishes. The flowers are also used to make hot teas with.